The flashing is a durable material designed for waterproof installation on a roof like a skylight. Some skylights models have an integrated flashing, making them more sustainable over the use of sealant products that are deteriorated with time. 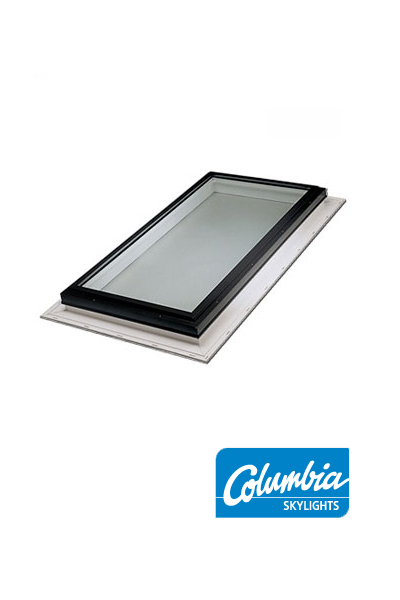 Furthermore, a skylight with integrated flashing and frame it’s the easiest type to install. However, the skylights with integrated flashing can not be installed on sloped roofs; another solution with a flat roof shall be opted. There is a model with an inner vinyl frame (PVC) and an outer aluminum frame. This model provides a thermal barrier, preventing heat transfer. There is another model with a vinyl base with a welded extrusion aluminum frame, but the double frame construction creates a ring-shaped air space which guarantees an optimal insulation. On the other hand, the wide flashing flange guarantees a perfect seal. Regarding the glazing, as well as for the integrated frame models, they could be glass, acrylic or polycarbonate. Many standard and custom sizes are also possible.